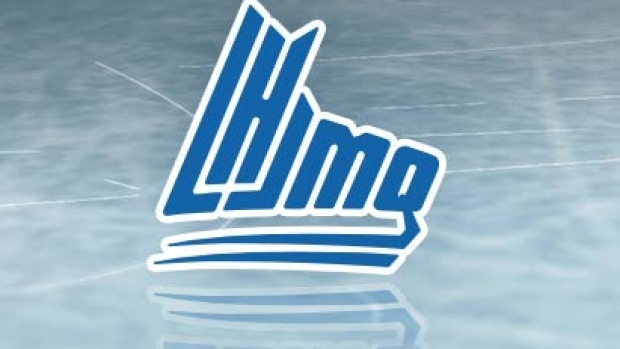 HALIFAX — The Halifax Mooseheads avoided an upset, holding on to beat the Quebec Remparts 3-1 on Tuesday in Game 7 of their Quebec Major Junior Hockey League first-round matchup. Halifax, the No. 1 seed in the East and eighth-ranked club in the 60-team Canadian Hockey League, needed back-to-back victories to advance after falling behind 3-2 in the best-of-seven series. Jocktan Chainey put the Mooseheads ahead for good at 4:41 of the second period while Keith Getson added some insurance just 52 seconds into the third. Maxim Trepanier tied the game 1-1 after Sam Dunn opened the scoring for the Remparts at 8:07 of the first. Alexis Gravel made 26 saves for Halifax as Carmine-Anthony Pagliarulo turned aside 28 shots for Quebec. The Mooseheads host the 2019 Memorial Cup. VICTORIAVILLE, Que. — Olivier Mathieu scored 35 seconds into overtime as the Tigres slipped past Val-d'Or in Game 7 of their first-round series to advance. Simon Lafrance, Edouard Ouellet and Feliks Morozov scored in regulation for Victoriaville while Tristan Cote-Cazenave made 24 saves for the victory. Karl Boudrias, Julien Tessier and Nicolas Ouellet found the back of the net for the Foreurs, who got 28 stops from Jonathan Lemieux. BAIE-COMEAU, Que. — Francis Leclerc turned away 33 shots as Moncton shocked the Drakkar to take its first-round matchup in seven games. Jakob Pelletier, Alexander Khovanov and Jeremy McKenna supplied the Wildcats offence. Samuel L'Italien replied for Baie-Comeau, the seventh-ranked team in the CHL. Alex D'Orio stopped 30 shots in defeat.